The Ministry of Civil Aviation’s Ude Desh ka Aam Nagrik (UDAN) scheme is set to fly international. The results for UDAN 3 were announced recently, and Suresh Prabhu revealed that for the first time, international routes have been introduced under UDAN by launching flights from Guwahati to Bangkok and Dhaka. Both these routes will be served by SpiceJet. 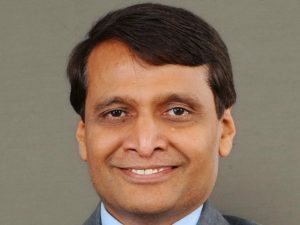 Prabhu said, “It’s going to be a major game changer as these connections would bring North East closer to the rest of the world. 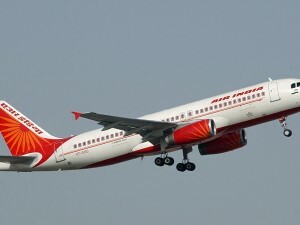 As a result, there will be a tremendous scope for tourism and economic development in the region.” Rajiv Nayan Choubey, Secretary, Civil Aviation, revealed, “The state government of Assam had asked us to conduct bids for connecting Guwahati to the neighbouring countries and we are happy to announce that Guwahati is now going to be connected with Bangkok and Dhaka, which are the international UDAN routes which have been awarded.” It was revealed that SpiceJet has taken a very competitive underwriting of the seats. The per annum VGF would be Rs 11 crore, which would be borne by the state. Having set the service frequency at seven-times-a-week, the government has given a flexible template of starting with thrice-a-week service, which will then be increased and finalised within six months. Thai AirAsia is introducing three new routes to Gaya, Bhubaneswar and Visakhapatnam from December 3, 6 and 7, respectively. 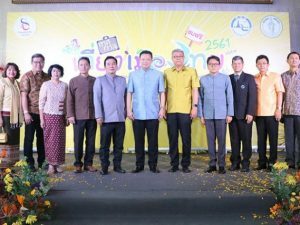 The airline will operate four direct flights a week from Bangkok to Gaya on Monday, Wednesday, Friday and Sunday. From Bhubaneswar to Bangkok, direct flights will operate thrice a week on Wednesday, Friday and Sunday. Besides, flights from Vizag to Bangkok will operate on Monday, Tuesday, Thursday and Saturday. The return flights would be available on Monday, Wednesday, Friday and Sunday. German Airlines Lufthansa has completed 55 years of operations on Delhi – Frankfurt route on September 1, 2018. In June 1963, there were three flights a week to the far east. On Mondays and Wednesdays, the routing led from Duesseldorf via Frankfurt, Rome, Cairo, Dharan, Karachi, Calcutta, Bangkok and Hong Kong to Tokyo. On Fridays, the route led from Duesseldorf via Frankfurt, Rome, Cairo, Kuwait, Karachi, Kolkata, Bangkok and Hong Kong to Tokyo. As of September in the same year, the stop in India took place in New Delhi, instead of Kolkata. The flights were operated by a Boeing 720. Nowadays, Lufthansa operates the route by a A380 that covers the distance in a bit more than 7.5 hours. Delhi has always been a key market for Lufthansa and over the years, the airline has experienced healthy growth on the route as more customers experience world-class product and services. 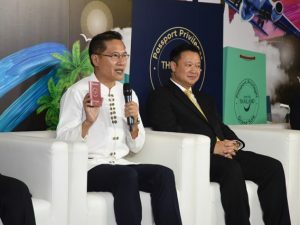 These include state-of-the-art products and best-in-class services such as in-flight entertainment and enhanced FlyNet allowing in-flight, high-speed internet to help stay connected with business partners or family on ground. 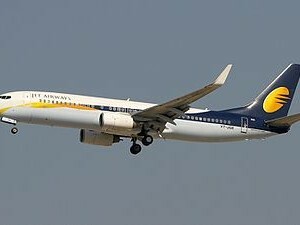 Currently, Lufthansa Group and its carriers – Lufthansa, SWISS and Brussels Airlines, offer 61 flights from four Indian gateways, namely Delhi, Mumbai, Chennai and Bengaluru connecting to 343 destinations in more than 100 countries via its four European hubs of Frankfurt, Munich, Zurich and Brussels. 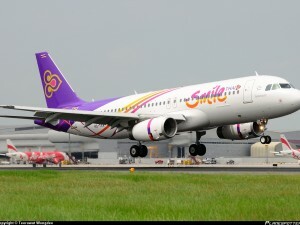 THAI Smile Airways has commenced its new flights on the Bangkok–Mumbai–Bangkok route. 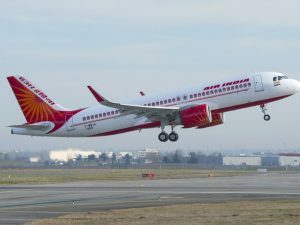 The airline has already been operating since last quarter of 2016 direct flights from Bangkok to Jaipur, Lucknow, Gaya and Varanasi. This new route will help all segments like – leisure, corporate and MICE travellers. THAI Smile operates its Bangkok-Mumbai flights five times a week under the flight no. WE335 Bangkok – Mumbai (BKK-BOM) on Tuesday, Thursday and Saturday at 22.15-01.35 (+1), WE335 Bangkok – Mumbai (BKK-BOM) on Friday and Sunday at 23.55-03.10) and WE336 Mumbai – Bangkok (BOM-BKK) on Wednesday, Friday and Sunday at 02.40-08.55 and WE336 Mumbai – Bangkok (BOM-BKK) on Monday and Saturday at 04.40-10.55. All flights are served in full service of excellence with complete course of foods and beverages. The foods on board are divided into vegetarian (Vegetarian Jain Meal) and common foods (Non-Vegetarian Hindu Meal). Baggage loading is up to 40 kg for Premium Economy Class or Smile Plus and 30 kg for economy class passengers or Smile Class. Both classes have spacious seats that passengers can select seats without additional charges and can also earn mileages with Royal Orchid Plus (ROP).